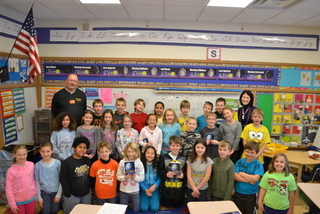 About 600 third grade students in Brainerd, Baxter and Pillager schools receive a complimentary dictionary. "Please bring me another learning book." "What is it like to be an Elk?" "Where is the Elk's Club?" Brainerd Lodge provides over $15,000 for their Student of the Month and Scholarship program. The Elks National Foundation provides more that $3.74 million in college scholarships each year through its three scholarship programs. One of the fastest growing youth activities in the country, the Elks Soccer Shoot program consists of two different contests that test different level skills at different ages, a "Five Goal Contest" and a "Grid Goal Contest." Youth advance through local, district and state events. 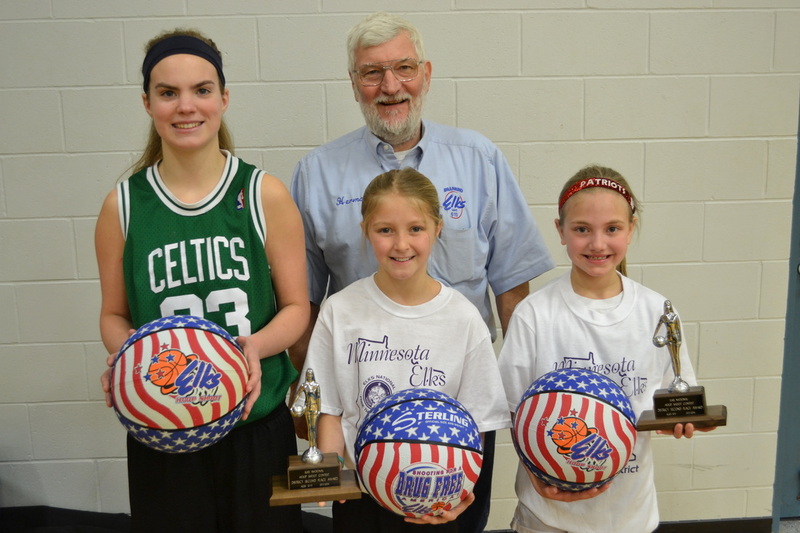 The Hoop Shoot contest is a free throwing shooting contest for youth 8-13 years old. Winners advance local, district, state, regional and national competition. Students in 5th - 8th grades compete to promote patriotism among young people. Local awards are presented and winning entries advance to state competition. Mark Munson's dream of a youth orientated Open Mic Program, where kids could continue to be involved with their music, and perform to live audiences on a year around basis meets the 4th Monday of each month at 6:30 pm at the Brainerd Eagles Club. Co-sponsor of the Brainerd Police Department's Safety Education Program. Hands out Elks DA literature as requested to parents, teachers and students. The DA trailer is also displayed at parades and various community functions. The Elks have sponsored the annual Elks debate tournament involving team competition from throughout Minnesota since the 1970s. Supports softball, baseball, Miracle League Field/teams and other programs. An Ice Mites team is sponsored by the Elks in the BAHA program. Provide financial assistance to area Grad Blast events.